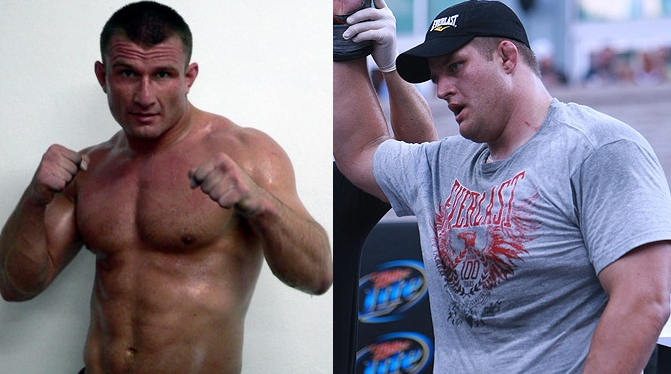 The Bellator Season 3 Semifinals heavyweight tournament already have Neil Grove. Now, next on the list are Damian Grabowski and Cole Konrad. Only one more left, and we're set to putting our money on. So, who's your bet? Damian Grabowski and Cole Konrad will advance to the semifinals of Bellator Season 3 heavyweight tournament, as both won last Thursday night. They will join Neil Grove and the winner from the Mike Hayes versus Alexey Oleinik match scheduled next week. Grabowski is an undefeated Polish fighter making an US debut. Though he looks like having the size and strength deficit against Scott Barett, he proved that he have too well-rounded a game for his opponent to handle. He easily won a unanimous decision with a score of 30-27 on all of the judges’ card. Konrad is a former NCAA heavyweight wrestler, who also won a 30-27 score from the judges after defeating Rogent Lloret. Due to lack of action, both Grabowski and Konrad still has a long way to run before becoming the darling of the crowd.